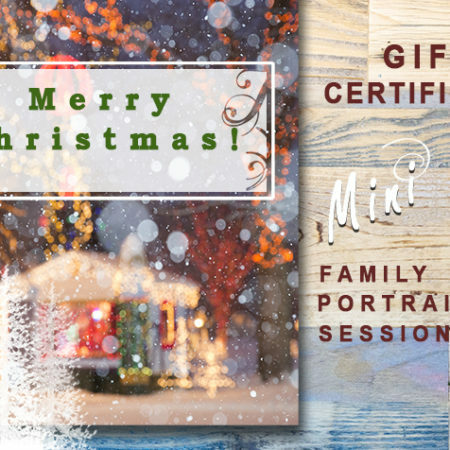 View cart “Gift Certificate – Mini Session (! !MOAB RESIDENTS ONLY!!! )” has been added to your cart. 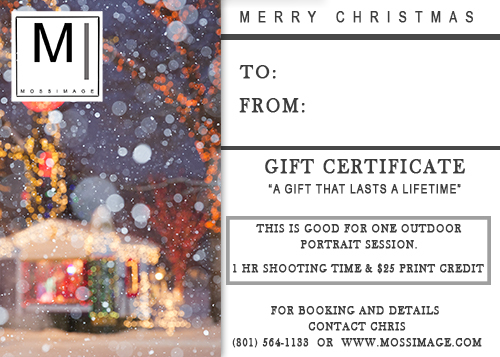 Each Gift Certificate is beautifully printed on Premium Thick Archival Photo Paper and ready for delivery by 12/25/2017. We all know life gets crazy. Unfortunately the hustle and bustle of our daily lives tend to put our memories in the backseat! When was the last time you had your family photographed? If you are like most people then it has probably been about 2-3 years. A lot can change in 2-3 years! Whether you would like some memories for yourself or a loved one, this gift is the perfect idea. Can be upgraded to include more people, prints, time, etc. This year give the gift that will last for generations! ***Restrictions: If travel outside of the Moab Area is required there will be an extra charge for travel. Date of booking dependent upon availability and dates.